The 18th edition of GOtv Boxing Night (GOtv Boxing Night 18) will be held at the Indoor Sports Hall of the Obafemi Awolowo (formerly Liberty) Stadium, Ibadan on Sunday, April 21. It was announced by the event organizers, FlyKite Promotions, at a press conference in Lagos on Tuesday. This is the third time the event is being hosted in the Oyo State capital, where it held in March 2017 and July 2018. GOtv Boxing Night 18 will be headlined by the African Boxing Union (ABU) lightweight title defense bout between reigning champion, Oto “Joeboy” Joseph of Nigeria and Success “Brave Warrior” Tetteh of Ghana. It will also feature another international bout, a light middleweight challenge duel between Nigeria’s Akeem “Dodo” Sadiku and the Republic of Benin’s Ekpresso Djamihou. Also, on the bout card are six domestic bouts. 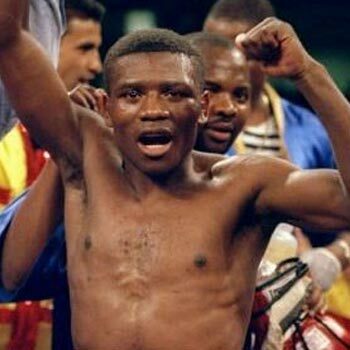 They include the national super featherweight title bout between Ridwan “Scorpion” Oyekola and Taofeek “Taozon” Bisuga. West African Boxing Union (WABU) welterweight champion, Rilwan “Babyface” Babatunde returns to action when he takes on Ganiyu “Energy” Kolawole in a challenge bout. The hard-punching Tawio “Esepo” Agbaje will battle it out against Michael “Holy Mike” Jacob in a national lightweight contest, while Adeyemi “Sense” Opeyemi and Sadiq “Happy Boy” Adeleke will slug it out in a national bantamweight challenge. Three graduates of GOtv Boxing NextGen Search 3 will also be in action. Morufu “Oloke” Owolabi will take on Jamiyu “Sunshine” Akande in a national lightweight challenge, while Issac “I Star” Chukwudi will be up against Ibadan-based Jubril “Terrible” Olalekan. The best boxer at the event will go home with a cash prize of N1 million alongside the Mojisola Ogunsanya Memorial Trophy. GOtv Boxing Night 18 will be beamed live by SuperSport, in 47 African countries.